LZ & Manhattan Acupuncture, P.C., Dr. Ling Zheng, L. AC. Dr. Ling Zheng, L. AC. Atopic Eczema is a common, chronic, life-altering disease that affects the skin. Eczema is a general term for several types of inflammation of the skin (of which atopic dermatitis is the most common). The word “atopic” refers to a group of diseases where there is a tendency to develop other allergic diseases such as asthma and hay fever. Eczema comes from the Greek word meaning ‘weeping skin’ and is the most common skin disease in children. Worldwide eczema affects 12-25% of children. Of these children, 49-75% will develop eczema before they are 6 months old and 80-90% before they are 5 years old. About 6 out of 10 children will continue to have eczema after puberty and 10-15% of adults continue to suffer from their childhood eczema. About 15 million Americans suffer from eczema. Regardless of how minor or severe a person’s eczema is, everyone has the same basic symptoms – dry skin, sore rashes, and terrible itching. Scratching and rubbing in response to itching irritates the skin and leads to the other common symptoms of eczema such as redness of the skin, swelling, cracking, "weeping" clear fluid, and finally, dryness, crusting and scaling. Itching is a particular problem during sleep when conscious control of scratching is lost. The appearance of the skin that is affected by atopic dermatitis depends on the amount of scratching and the presence of secondary skin infections. One other type of lesion common in atopic eczema is lichenification, which appears when the skin over time becomes thick and leathery due to repeated damage from scratching and rubbing. It is also common for individuals with eczema to have a higher incidence of asthma and hay fever (i.e. allergic rhinitis) with 30% of these patients presenting with these associated diseases. According to modern medicine the symptoms of atopic eczema discussed above are associated with malfunction of the body's immune system and appear when the body reacts to elements in the environment which would normally be harmless. Scientists have found that people with atopic eczema have a low level of a cytokine (a protein) that is essential to the healthy function of the body's immune system and a high level of other cytokines that lead to allergic reactions. For example in atopic dermatitis, the immune system may fight against common house-dust mites or pollen allergens causing the skin to become red, itchy and inflamed. In most cases, the severity of this disease fluctuates with sometimes the disease being worse followed by periods of time when the skin improves or clears up. In some cases, the itching and redness is so serious and intense sufferers scratch themselves until they bleed, increasing the risk of secondary infection. Commonly, eczema can produce a vicious cycle. Something irritates the child’s skin, making it red and inflamed and because it itches, the child scratches it. The outer protective layer of the skin is lost. The affected area is even more sensitive to irritants, and dries out easily. The child’s skin continues to be exposed to whatever it was that triggered the initial episode and the rashes develop. The cycle perpetuates itself. Several studies suggest that atopic eczema has a more profound effect on the quality of life than other skin diseases, such as acne and psoriasis. Children may experience sleep disturbance due to the “itch-scratch-itch” cycle and lack of confidence due to low self-esteem. Families of sufferers also experience sleep loss. If eczema runs in the family, it is more likely to be a lifelong condition. Even so, it is often worse in the first years of life and therefore is important to treat at this time. Is Atopic Eczema a Curable Disease? According to a recent study, more than 50 per cent of eczema sufferers are not satisfied with their current treatment. There is no cure for this disease in Western medicine and management of this disease is the only treatment available. Traditionally in Western medicine eczema has been treated or managed with moisturizers to rehydrate the skin, topical corticosteroids for inflammation, oral antihistamines to control the itch, and when there is infection, antibiotics. Topical corticosteroids have been used for 30 years to treat eczema but they are not an ideal treatment because they do not produce a cure and they have side effects. The unpredictable nature of eczema and lack of a good treatment in Western medicine makes it difficult to manage and some people simply give up on searching for an effective treatment. What everyone does not know is that Traditional Chinese Medicine is very effective in the treatment of this disease and can reduce the discomfort and severity of their eczema. TCM offers a long-term solution to this chronic disease and because it treats the root-cause of the disease it can often produce a cure for eczema. Chinese medicine has been proven over 2000 years to be effective in treating various diseases including eczema. Many clinical studies have been completed on the effectiveness of various Chinese herbal formulas in the treatment of eczema. Unfortunately, these studies are completed in China and therefore written in the Chinese language making them not accessible to modern medical doctors. However, because of the remarkable success TCM doctors in England were having in the treatment of stubborn cases of eczema that would not respond to many types of conventional treatment, various skin doctors started to take notice. Doctors have a natural antipathy towards anecdotal evidence and so there seemed little else to do but to set up a proper scientific study in English. Multiple studies were conducted and reported in British medical journals. All studies concluded that Chinese herbal medicine was an effective treatment for atopic eczema and there were no side effects to these treatments. One of these research projects (placebo-controlled double-blind trial) was a one year study2 of 37 children suffering from eczema conducted at The Hospital for Sick Children, London, England. This study revealed that Chinese herbal medicine offered an effective treatment particularly for those children who failed to respond to modern medical treatments. At the end of the study, 18 (49%) had at least a 90% reduction in the severity of their atopic eczema after 8 weeks of treatment. Another 5 cases (14%) improved to a lesser degree during the same length of time. In clinical practice, Chinese medicine is customized to the individual but for the sake of research, in the above study the treatment had to be standardized for each patient. To minimize the error introduced by prescribing identical medicine for all patients, only those cases with a particular type of eczema according to the Chinese pattern discrimination were selected for the clinical trial. In TCM, the symptoms of atopic eczema is divided into three different patterns or groups of symptoms. The treatment principles are different for each pattern. The two main patterns described are wet, ‘weeping’ (i.e. damp heat) eczema and dry, scaly eczema. The third pattern mentioned in TCM literature is called Fetal heat. Note that all forms of eczema are related to heat/dryness, which emphasizes the prominent superficial inflamed or red nature of the skin that is so common in atopic eczema. TCM treatment is based on differentiating whether the lesions are dry or damp, the stage of the eczema and what areas are affected. This is the earliest presentation of eczema which usually begins on the face (see Infantile Phase discussed above). This pattern is similar to the damp-heat pattern discussed below but is differentiated by its presence in the infantile phase and etiology. The TCM treatment for this pattern is different than the damp-heat pattern. The symptoms of this pattern indicating dampness in TCM, include edematous (swollen) papules, exudative and weeping lesions with secondary crusting (is usually pronounced) of the skin. Symptoms indicating heat include red lesions, thirst, pronounced heat during the sleeping, nocturnal restlessness and crying, constipation or foul smelling diarrhea. Examination of the tongue and finger vein may also indicate the presence of dampness and heat in the body. At this stage the intense itching often causes disturbed sleep. According to TCM, itching (in all three patterns of eczema) indicates the presence of wind. The pattern of Fetal Heat in TCM is caused by the individual’s constitution which is acquired from their parents. Fetal Heat is the TCM concept that a form of pathological heat can be passed to the child from the mother in the womb. This pathological heat can manifest as various diseases when the child is born and atopic dermatitis is one of the most common. Fetal heat begins as pathological heat in the mother prior to being passed to the child. This heat may be generated or affected by the intake of certain foods during pregnancy and/or the general constitution of the mother. This stage of this disease has also been linked to the intake of dairy. A study in the journal of Clinical and Experimental Allergy (2002) indicated that diet during pregnancy influences the fetal immune system in such a way as to affect the incidence of childhood atopy. Also, family history of atopic eczema was found to be the strongest risk factor to develop this disease.. The fact mentioned earlier that 49-75% of children who develop eczema do so in the first 6 months. In modern medicine, recent studies have shown that if both parents have eczema or have a history of eczema there is a 80% chance their child will also have the disease. The Chinese herbal formulas chosen for this pattern are based on the treatment principles to clear fetal heat, resolve toxins, disinhibit dampness and dispel wind (i.e. alleviate itch). Scratching is an instinctive reaction to itching, and it is particularly difficult for babies and children to resist the urge to scratch. Unfortunately, scratching does not stop the itch, but in addition it also aggravates the skin and makes the condition worse. The skin becomes sore and inflamed and eventually cracks and bleeds. It may then become infected. The only effective way to stop a baby or child from scratching is to stop the itch. Fortunately, Chinese medicine has many herbs in its pharmacy that are effective for stopping the itch. If you stop the itch-scratch cycle then your chance of curing this disease increases immensely. The herbs to stop itching are chosen based on the patients TCM pattern and their presenting skin disease. The wet eczema (or damp-heat pattern) presents with a red rash, which will develop blisters that eventually burst and weep. Itching is severe. Erosion of the skin is often apparent and blisters are followed by yellow scabs and crust formations. Secondary infections are more common with this pattern. Accompanying symptoms may include a dry mouth with no great desire for fluids, a hot sensation at night usually with sweating, a red tongue with a thick yellow fur and a fast slippery pulse. In comparison to Dry Eczema this pattern tends be more acute and sometimes is a progression of the first pattern mentioned (Fetal Heat). The cause of this pattern of atopic eczema is related to digestion (spleen/stomach in TCM) malfunction leading to damp-heat accumulation causing inflammation of the skin. Diet is important in the treatment and prevention of atopic eczema. TCM medical theory says that children’s spleens (i.e. digestion) are inherently immature until they are at least five or six years of age. The spleen and stomach function as a unit, and this means that infants and young children do not digest foods and liquids as efficiently as adults. This is the primary reason why most children develop eczema before the age of 6 years old and also why some cases resolve by themselves. The younger the child, the more immature their digestion is and this is why the first onset of eczema is in the first 6 months and often coincides with the introduction of food. This disease mechanism of damp-heat could be caused by improper introduction of solid foods or the child has been allowed to eat the wrong diet. Diet is a huge topic, and readers interested in more information about children’s diet and general health should purchase Bob Flaw’s guide for parents from Blue Poppy Press titled “Keeping Your Child Healthy with Chinese Medicine”. For a general introduction of Chinese dietary therapy for all ages see his book “The Tao of Healthy Eating”. Improper introduction of food includes introducing a particular food to a child before they are able to digest it, introducing more than one food at a time and/or not recognizing when the child reacts negatively (i.e. skin reaction, digestive upset, etc.) to the introduction of a specific food. If the child is unable to digest the food, the digestion does not work efficiently and a turbid residue (i.e. dampness) accumulates within the body. Certain foods are harder to digest than other foods. For instance, many foods that are considered triggers of eczema in modern medicine are considered difficult to digest in TCM and easily lead to dampness in the body. These foods include cow’s milk, wheat and peanuts. The wrong diet includes a diet high in sugars and sweets which will weaken the spleen and cause an accumulation of dampness within the body. Antibiotics are overused in our society, and are known to easily harm the digestion and may lead to dampness in the body. If this dampness lingers and accumulates it will give rise to damp-heat (in the intestines). Once in the intestines this pathological inflammation or damp-heat may be passed to various parts of the body (including the skin) to cause disease (like eczema). The Chinese herbal formulas chosen for this pattern are based on the treatment principles to clear heat, disinhibit dampness and dispel wind (i.e. alleviate itching). This pattern presents with dry, ill defined, red flat and raised lesions, with pronounced scratch marks and possibly bloody scabs. The amount of redness of the dry type indicates the degree of heat. The characteristicly dry nature of this type may be more prominent than the heat aspect and vice versa depending on how the pattern developed. Compared to the above patterns this disease tends to be more chronic in nature. Lichenification (thickening of the skin with accentuated skin creases) is often present at this stage. There is usually a lot of scaling (especially the scalp) and usually there is a complete absence of exudation (i.e. weeping). Severe itching that often disturbs the child’s sleep, pronounced thirst, restlessness, agitation and ‘feeling of heat’ especially at night (usually with the absence of sweating) are also common with this pattern and the tongue is red with a dry tongue coating. The cause of this pattern is often a progression of the first two patterns in which the skin has become drier due to prolonged heat. Moreover, secondary skin changes are present due to prolonged scratching. This pattern can also be caused by a lack of nourishment to the skin. The second cause of this pattern in a child is due to a digestive weakness (i.e. spleen vacuity) giving rise to blood vacuity. In Chinese medicine, blood is made out of the essence of food and liquids digested and refined by the spleen. Blood nourishes the skin and if there is a lack of blood, the skin may become dry, itchy, and scaly. Therefore, the ‘clear, bland’ diet described in this article is also important to treat and prevent this pattern of eczema as well. The Chinese herbal formulas chosen for this pattern are based on what disease mechanism caused the eczema. The treatment principles could be to clear heat, cool the blood and dispel wind (i.e. alleviate itching) or to fortify the spleen and dry dampness, nourish blood and dispel wind. Acupuncture is helpful to treat for atopic eczema. Usually, acupuncture is combined with Chinese herbs as a part of the treatment plan for those adult patients, for regulating patient’s immunity system, fortifying spleen, clearing heat, drying dampness, cooling the blood and dispelling wind. It is helpful to relieve some associated symptoms such as stress and insomnia. Atopic Eczema is a common, chronic, life-altering disease that affects the skin. In most cases of eczema, Western medicine can only temporarily soothe the irritation with balms, or cortisone, the powerful but hazardous anti-inflammatory. Possible side effects of repeated or long-term use of topical corticosteroids include thinning of the skin, infections, growth suppression (in children), and stretch marks on the skin. These steroid creams are really only a ‘band aid’ solution to this chronic problem. Topical steroids sometimes alleviate symptoms, but do not improve the health of the skin. Traditional Chinese Medicine is very effective in the treatment of atopic eczema and can reduce the discomfort and severity of their eczema. TCM offers a long-term solution to this chronic disease and because it treats the root-cause of the disease it can often produce a cure for eczema. The treatment principles are based on a patient’s TCM pattern. 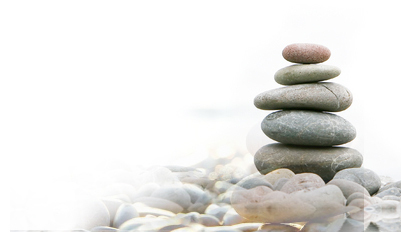 We accept health insurance plans which cover for acupuncture treatment. We may contact your insurance company to verify your acupuncture benefits. If you need us to do so, please tell us your insurance information including your full name, birthday,insurance ID number, and insurance company’s Tel. number.